(Bloomberg) -- Texas Gov. Greg Abbott said that Tesla Motors Inc. shouldn’t expect to open Lone Star state sales outlets any time soon. 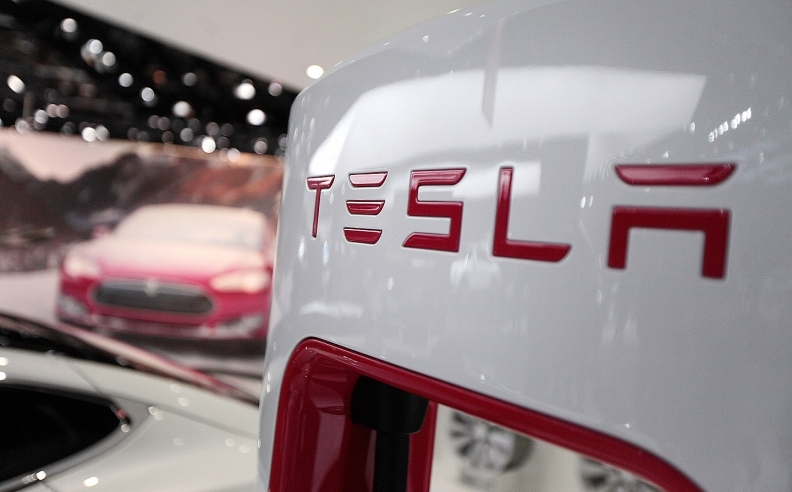 Tesla has been trying for two years to crack the nation’s second-largest automobile market. It has been stymied by a powerful dealership lobby that opposes allowing the company to sell its electric cars directly to consumers. Currently, Texans who wish to own a Tesla can visit one of three “galleries” in major cities to view the cars, but they can’t test drive them or discuss price. Prospective owners must go to another state or order online and have a car shipped to them. Tesla has tried hard to win over Texas. CEO Elon Musk visited Austin lawmakers this year days after the legislative session convened in January. He also hired 20 lobbyists and spent more than $150,000 on campaign contributions. Musk’s efforts fell flat. Pro-Tesla bills gained little traction, failing to make it out of committees for a full vote by the House or Senate. Tapping the Texas market is key for Tesla. Texans buy more than $81 billion worth of cars every year, second only to California, according to the National Automobile Dealers Association.